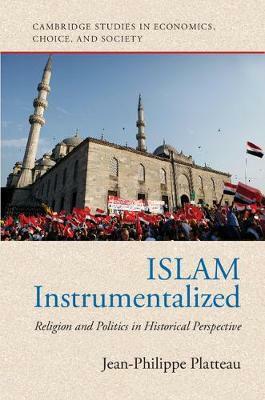 In this book, economist Jean-Philippe Platteau addresses the question: does Islam, the religion of Muslims, bear some responsibility for a lack of economic development in the countries in which it dominates? In his nuanced approach, Platteau challenges the widespread view that the doctrine of Islam is reactionary in the sense that it defends tradition against modernity and individual freedom. He also questions the view that fusion between religion and politics is characteristic of Islam and predisposes it to theocracy. He disagrees with the substantivist view that Islam is a major obstacle to modern development because of a merging of religion and the state, or a fusion between the spiritual and political domains. But he also identifies how Islam's decentralized organization, in the context of autocratic regimes, may cause political instability and make reforms costly.